Earlier this academic year, I gave a talk at the Canada Science and Technology Museum about ‘the Invasion of the Digital Humanities’ and why museums might want to keep an eye on DH. The slides are at: http://j.mp/sg-oct16 but I realized I never shared the speaking notes. So here they are. You might find some mileage in ’em. I am an imposter. I don’t work in a museum, I have no training in museology and I certainly don’t face the challenges that each of you deal with every day. I like to think I’m a fellow traveller, maybe. But once I starting thinking about imposters, I wondered, Who are the imposters in the museum? It might well be the digital humanities. In this talk I’m going to do 3 things. Then I’m going to talk about how I try to teach digital humanities. Full disclosure – I suggested the title of this talk months ago and wish I’d not used the word ‘invasion’. Invasion: it suggests power, control, dominance, colonialism, extraction, subversion, a taking over. These are not words or connotations I want to see associated with DH. Nevertheless, even cursory googling will produce a lot of articles written from such perspectives. But what if DH was played instead for an enchantment led model? What if DH opened up an emotional response? In this museum, there’s a wonderful book in one of the galleries. A projector above it shines information down onto the pages. When it senses a hand near an image, the image becomes alive; if you flip the pages, new information appears. It’s magical. I sat for half an hour and watched kids play with it. It was enchanting. A simple harry-potter-esque motif. ‘well of course, they’re digital natives’ someone might say. Heaven help me if I ever hear the term ‘digital native’ though. There are no such things. I taught high school once, a decade ago, in the rural northern part of this region, about an hour and a half from here. We brought the kids to the city, to one of the museums. Several of them had never seen an escalator in real life before. An escalator. They knew they existed; they’d just never experienced them before. Indeed, that whole trip was amazing for me, because these kids just didn’t know how to interact with any of the materials on display. They were imposters, and they knew it. They didn’t touch, they didn’t explore. They merely looked. A museum also has an outward looking face. Its website for instance. Some are more complicated than others. Maybe there’s been a digital strategy put in place. Maybe there’s some amazing API, some SPARQL endpoint that permits me to link all the data together and ask semantic questions of that data, remixing it into something new. Or maybe I just look at it, and feel it’s way beyond me. I’m an imposter. I don’t belong here. Our digital interventions, whether in physical space or online space, need a pedagogical scaffolding if we want to bring the imposters amongst us out of the cold, to fold them into what we’re doing. DH can offer that scaffolding, because it sits at that intersection between the human and the machine. Paradoxically, I find that scaffolding, that support, where things break. As an archaeologist, it’s the broken things that teach us most. Sometimes we have to deliberatly break something to understand it. A DH that celebrates the imposters. failure makes us feel like imposters, right? but what if failure was formalized as a culture of experimentation? an enchantment that leads to wonder? this is how I try to teach DH or rather, embody a DH pedagogy in my teaching. DH then is an approaching to working with digital data and computational tools that exists in a reflexive cycle. We use the tools because they enable to do interesting things; but the things they enable us to do change how we see the world. my critical making class for instance uses 3d photogrammetry to scan an artefact into the digital, then over the duration of the term we do the full cycle of humanities computing as Bethany Noviskie calls it, abstracting the data further and further away until we come back again via 3d printing or augmented reality or DIY projectors. I foster a culture of open notebooks and fail logs, where the grading is not on the finished project but on the reflective process, teasing out the various meanings as we go. I should mention that all of my students feel like imposters: “If I wanted to study computers sir I wouldn’t have taken history”. One of the most profound projects was Matt and Marc’s study of the Terry Fox statue at Parliament Hill. Terry Fox is a Canadian icon; in the early 1980s, having lost a leg to cancer, he embarked on a fundraising run across Canada for cancer research. The statue depicts him mid-stride, his face a rictus of pain (Fox ran the equivalent of a marathon every day for several months, until a relapse finished his Marathon of Hope for good). His prosthetic leg never fit quite right; the binding of technology to man became a theme in Marc and Matt’s work as they translated the physical statue, the memory-in-bronze, into a memory-in-bits, working through the cycle back to the physical world and tying their breakages (in skills, in technology, in the ways they chose to represent Fox) to the breakages in Fox’s own body, our memory of him, and our commemoration. for instance, Allison Parrish, poet and programmer, reminds us that to encode something is to forget; it is an act of forgetting. So I ask them, what has to be forgotten in order to make something digital, or to digitize something, or to use some whiz bangy tool? who gets forgotten? who can be hurt by this? 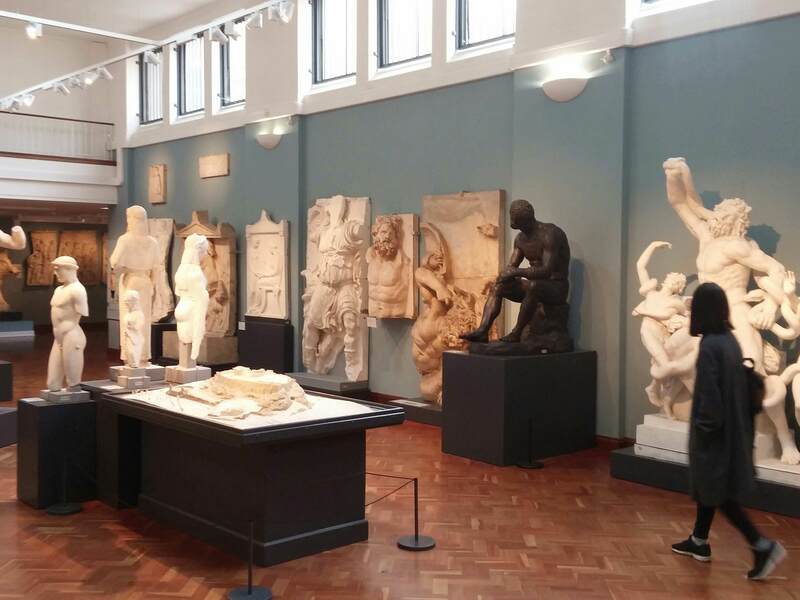 DH in the museum should make us remember the imposters amongst us, and bring them in out of the cold by recognizing and valuing what makes them feel like an imposter, by providing a scaffolding for understanding the various ‘fails’ and pulling meaning out of them. By making it safe to fail at being a museum visitor. by encouraging touching, breaking, making, and reflection. ok, so what’s the easiest route into dh in a museum setting? the problem of aura – dh’s answer: performing the replication gives aura! 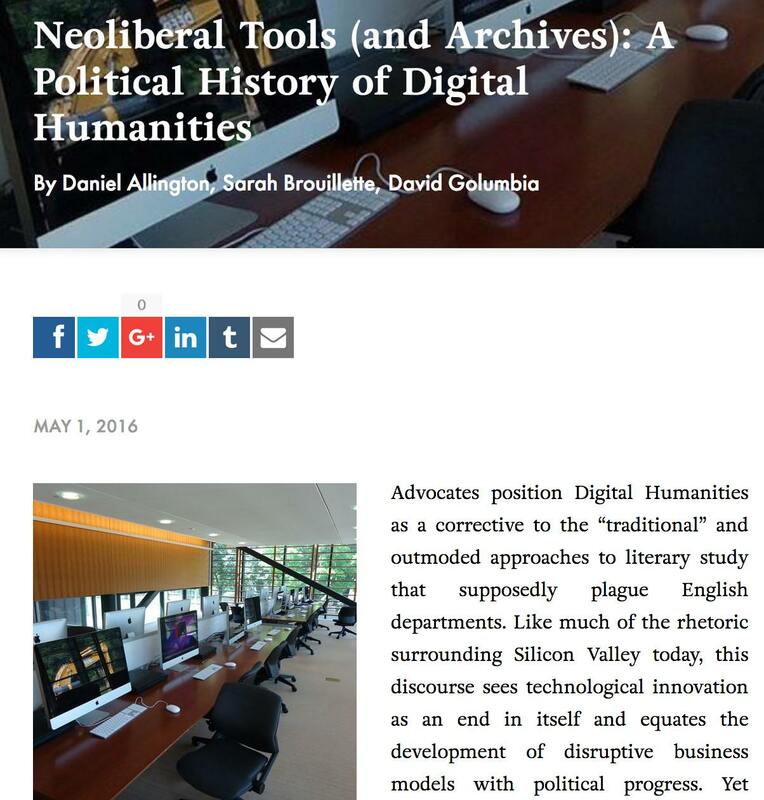 DH is not about whizzy tech, or trying to attract new audiences, or new kinds of outreach. Sure, it has a lot of that. BUT DH in a museum could be a lot more. Canada & Their Pasts project from a few years back found that the public trusted museums most to learn about their world, their pasts. That’s a powerful and important role. So I’ll leave you with my wish list: I want to see DH not as a special secret sauce that gets added to placate senior admin and boards of directors; I want to see museums as powerhouses of DH research, as leading venues where this field happens, where it takes place. digital work is necessarily public work I think, so I see DH + Museums as a nexus for leadership. I want, along with Dan Pett, to see museums participating in DH research. So, not so much about invasions. Invite the imposters in, instead.